Miranda knew she wanted to use the diamonds from her grandmother's engagement ring for her own ring one day. When the time was right, her boyfriend brought us the ring and we removed all of the diamonds and set them aside. Miranda knew she wanted an antique modern piece and showed us a few photos of styles she liked. 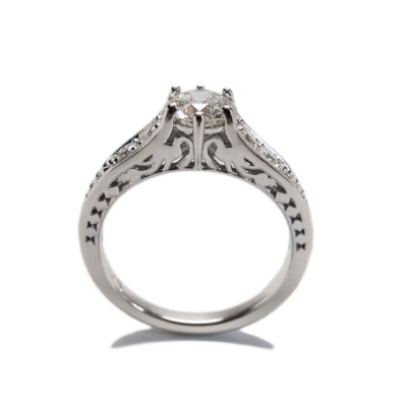 We had free reign to design this heirloom diamond white gold ring featuring 6 prongs, flower cut outs, pavé diamonds and braiding on the side of the band. 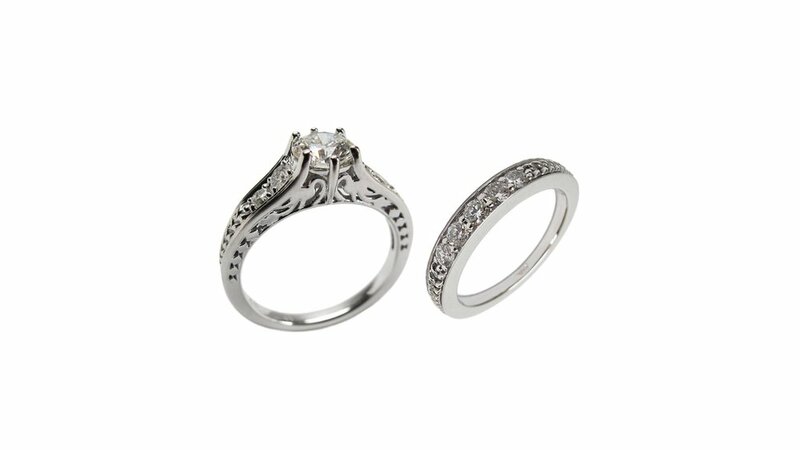 We later designed the wedding band to fit with the engagement ring which also features heirloom diamonds. A perfect pair!